this year is flying by for me. does it feel like that for you too? there have been so many changes this year: so many times i’ve second-guessed myself, so many little moments to be savoured and so many things to be grateful for. sometimes i get tired of words. often they don’t seem like they fit right, or adequately explain a mood, a feeling, a moment. i sat looking at my website a couple of mornings ago, realising that it’s mostly been made up of lists recently. i wondered if i’d ever be able to form proper paragraphs again here and felt exhausted just thinking about it. 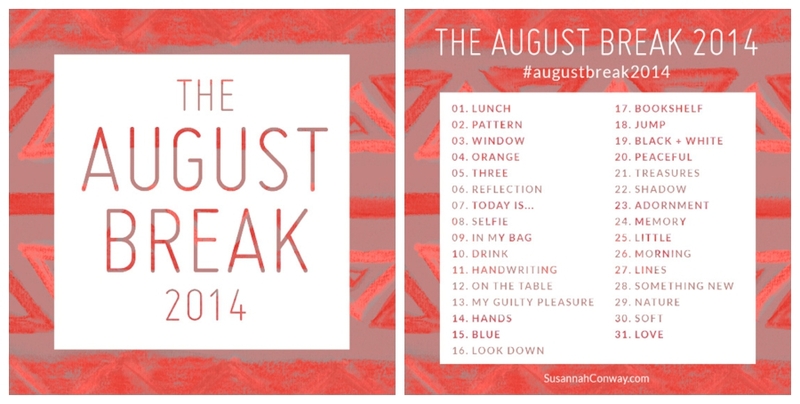 that’s why i really love august – as well as being my birth month, it’s the month when my friend Susannah hosts the August Break; it’s a way that i can still go on savouring – and sharing – little moments, without having to say a thing. there’s a list of daily prompts that you can use (or not – there’s not really any rules!) and, this year, she’s made it even more fun by adding in a daily email with prompts and photographs from some of her friends… i’m thrilled, and humbled, to be one of them. so… if finding just the right words is tricky for you too, or you just want a rest from them whilst still engaging in some creative play, come and join in with Susannah and the rest of the gang. » head on over and join in! This entry was posted in collaboration and tagged august break, friends. Bookmark the permalink. oh yes, it totally is!